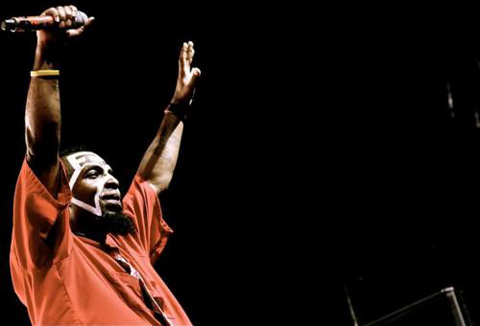 Is it too soon for Tech N9ne to revisit the speed-driven flows of “Worldwide Choppers” with a sequel? Not if the fans have a say. Since last year, rumors have swirled of a possible “Worldwide Choppers 2” as Tech N9ne considered the idea for his next full-length album. The sequel would follow the star-studded original collaboration from All 6’s And 7’s, which included guest appearances from Busta Rhymes, Yelawolf, and Twista. Feeling the pressure to create a follow-up, Tech took to Twitter to personally reach out to fans for their opinions on the matter. Speaking on the track, Tech explained it might be too soon to drop the sequel, but definitely considered the idea, even going so far as to give Mac Lethal a nod for choppin’ it up. We can’t tell if Tech is ready or not, but from the looks of it, the fans are more than excited for another chopper frenzy. Is it too soon for another “Worldwide Choppers” track?